This is a curious article: In some cases, it misses the point and, in others, it misinforms the reader about how the publishing industry currently works. There is no doubt that the ISBN--as a global standard for the identification of physical product--is facing, or will soon face, a challenge as physical books become eBooks but its irrelevance is still a fair distance off. 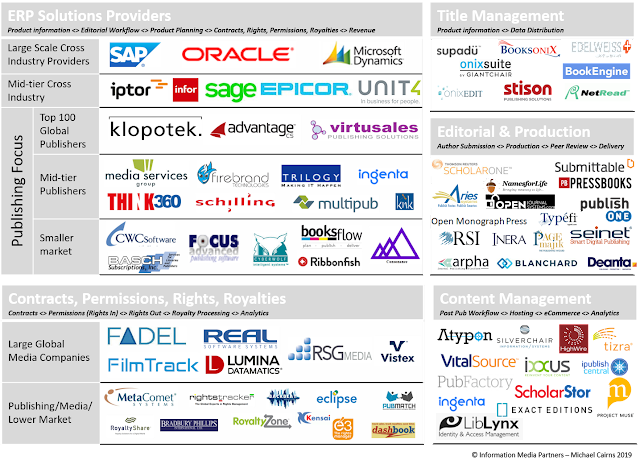 A mix of formats (electronic and paper)is likely to exist for many years (particularly with the variability in markets around the world for adoption of the eBook) and the use of the ISBN is long and deeply embedded in all significant publishing systems from editorial to marketing to royalty accounting. Further, it is hard to agree with your statement that the ISBN hampers small publishers when the past ten years have seen the most significant growth in small- and medium-sized publishers in history. Both Bowker and Nielsen report these numbers each year for the US and UK markets. One circumstance you allude to is that in 'olden times'--when we had more than two significant bookstore chains (in the US)--there was no question as to whether to obtain an ISBN; however, a publisher today could make a perfectly valid decision not to acquire an ISBN and simply sell their book or eBook through Amazon . . . and they could do okay with that. But why would any publisher with a book offering legitimate sales potential want to exclude all other retailers? That would be hard to understand. The other identifiers you note are interesting but don't really apply or fit with the requirements of the book (e- or p-) supply chain. There's no question the industry needs to think differently about identifiers but I don't think that's a point you end up making. Even if a book can be easily downloaded and paid for, someone still has to do the accounting and make sure the right publisher gets the right payment so they can the pay the author and contributors their share. Individuals and small publishers could possibly do without an ISBN but, in doing so, they may only be limiting their opportunities. This is an academic finding that hasn't crossed over into the wider world. I've never seen a film or television programme about the importance of commuting in Londoners' lives; if it comes to that, I've never read a novel that captures it either. The centrality of London's underground to Londoners – the fact that it made the city historically, and makes it what it is today, and is woven in a detailed way into the lives of most of its citizens on a daily basis – is strangely underrepresented in fiction about the city, and especially in drama. More than 1bn underground journeys take place every year – 1.1bn in 2011, and 2012 will certainly post a larger number still. That's an average of nearly 3m journeys every day. At its busiest, there are about 600,000 people on the network simultaneously, which means that, if the network at rush hour were a city in itself, rather than an entity inside London, it would have the same population as Glasgow, the fourth biggest city in the UK. The District line alone carries about 600,000 people every day, which means that it, too, is a version of Glasgow. There are quite a few novels and films and TV programmes about Glasgow. Where are the equivalent fictions about the underground? New York has any number of films about its subway – The Warriors, the John Carpenter movie from 1979, is one of the best of them, and explicitly celebrates the network's geographical reach across the whole city, from Van Cortlandt Park in the Bronx to Coney Island. New York also has Joseph Sargent's The Taking of Pelham 123, an all-subway-located thriller, among many other cinematic depictions. Paris has the Luc Besson film Subway, and plenty of other movies. London has next to nothing. (Let's gloss over the Gwyneth Paltrow vehicle Sliding Doors – though not before noting that the crucial moment when she either does or doesn't catch the train is on the District line, at Fulham Broadway. Spoiler alert: in the version in which she rushes and successfully catches the train, she dies. A District line driver would call this a useful reminder that this isn't the national rail network, and there will be another one along in a minute.) There's a wonderfully bad Donald Pleaseance movie from 1972 called Death Line, set entirely in Russell Square underground station; there were some episodes of Doctor Who in the 60s, which seemed scary at the time, about the tube network being taken over by robot yetis. To a remarkable extent, though, that's it. London is at the centre of innumerable works of fiction and drama and TV and cinema, but this thing at the heart of London life, which does more to create the texture of London life than any other single institution, is largely and mysteriously absent. The online course guides project is an award-winning academic technology initiative to match every one of APUS's online courses with an online library course guide, a new approach to offset the high cost of traditional print text books. Now that the project has successfully completed guides for a little over half of the university's course offerings, further practical metrics may be applied to the initial statistical analytic framework to widen the project's focus from course guide completion rates to higher levels of quality assurance and sustainability. Switching devices presents another headache for readers. Late last year, independent booksellers made a deal with Kobo, an e-book retailer that also sells its own e-reader devices. The indies now sell both the devices and Kobo e-books. People who want to support their local independent bookstore might contemplate switching from the Kindle to the Kobo, but if they do they’ll have to leave their (DRM-protected) Kindle books behind on their old device. If you are an early e-book adopter who wants to keep and reread the books you bought for your Kindle, you’re locked into the Kindle platform. Tablets like the iPad are slightly different. The tablet’s owner can install numerous proprietary apps to read a variety of e-book formats, but the titles have to stay in their own walled gardens. You can’t move your Kindle books into your iBook library, for example. This is a minor annoyance, but annoying all the same! When I got my first iPad, I mostly bought Kindle e-books because Amazon’s app was more versatile. Since then, iBooks has outstripped the Kindle app, especially when it comes to working with books used for research, and I would much rather read and organize all my e-books in iBooks. I can’t. Given such restrictions, it’s debatable whether or not I truly own them. Not the Same Old Cup of British Tea NYT Watch. Lancashire County Cricket sign path-breaking 10-year deal ESPNet PND Senior in the news - Congrats & Great News!